The world is changing. With a flexible attitude we can respond better to changes. But that is not as easy as it sounds. Dare to experiment, preferably in real life. Greek philosopher Heraclitus already said it: change is the only constant. But the difference between now and then is that change is happening faster and has become more complex. It is an illusion to think that you can continue to orchestrate the communication. It takes place continuously between many players and changes face, actors and needs all the time. To keep connecting and make progress visible we as communication professionals have to get more agile. What do we mean by ‘the world has become more complex’? 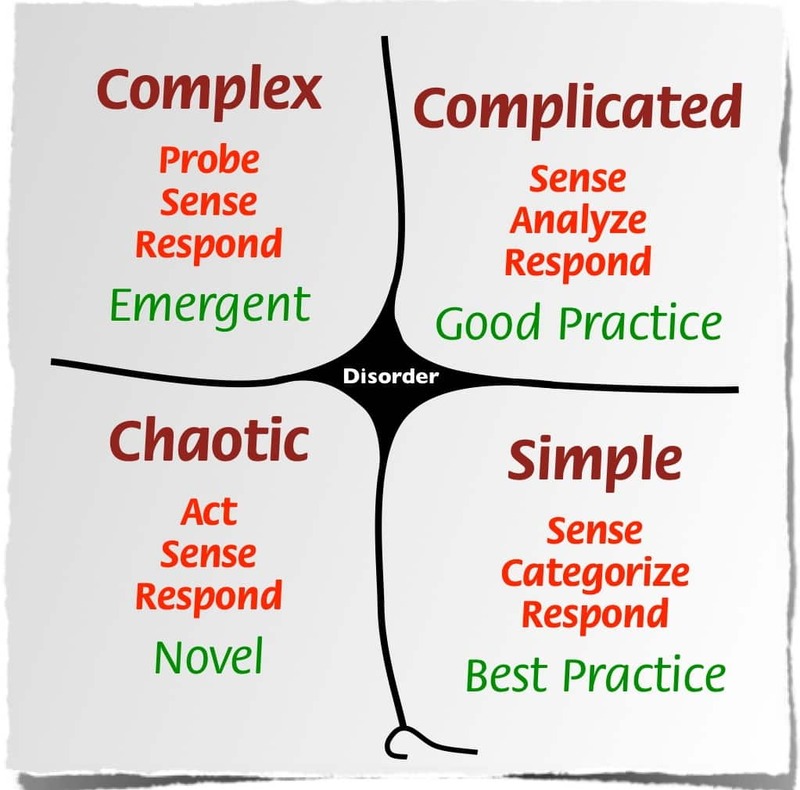 For me, the Cynefin (read Knefin) framework of Dave Snowden helps clarify this enormously. One of the things he does is differentiate between complicated and complex. Complicated issues are difficult, but can be solved by experts. Do you want to build a more economical plane? Get an engineer involved. The engineer develops a blueprint to achieve the best result. The relation between cause and effect is reasonably predictable. A lighter plane leads to less fuel consumption. Complex systems are not that ordered. In complex issues there are many players and factors involved that continually influence each other, in words as well as in deeds. If the war in Syria worsens, many things happen at the same time – new victims, more disrupted cities, more refugees. This also incites new responses: a Chancellor who states: ‘Wir schaffen das, new border blockades, more volunteer assistance, etc. Complex systems are unique. Cause and effect can only be traced in retrospect and things rarely happen in the same manner again. Social media provoke a diverse stream of information, to which stakeholders then react and change their behaviour too. Because of that, reality transforms continuously. Just as you think you get it, the situation has altered again. Continuous communication as a means to bring people and ideas together. Knowledge sharing, generative dialogues and progress visualization to continuously feed the process. There are no blueprints available for complex issues; we just have to dare to experiment. To experience what happens in real life, monitor the reaction, learn from the results and adjust accordingly. This also means that you cannot control the communication (anymore). The question is whether you would want to. In fact, controlled communication would only obstruct the free flow of information between those involved. In complex situations, we need the input of all players. They have to be connected to each other. Sharing knowledge and experience regularly, as a basis for communal understanding and trust, in order to create new things together. Continuous communication as a means to bring people and ideas together. Knowledge sharing, generative dialogues, progress visualization to continuously feed the process. How do you get agile? But how do you facilitate communication in constantly changing environment? This requires agility. ‘Agile is what you are, not what you do’, says Arie van Bennekum, one of the founders of the Agile Manifesto. 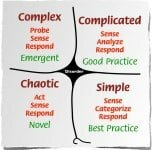 Agile is based on the simple assumption that the effects of our efforts in complex situations are hard to predict. With a flexible attitude, we can respond much better to change. This seems simple, but requires serious efforts. It means that we have to let go of long-term goals and detailed plans and take action much quicker. In real life – with real people (!) – you need to probe if things are working out. This way you will know quickly if you deliver real value to your target audience. If not, you can adjust immediately. So do not organise a series of meetings at once, just start with one. Then determine your next move. Scrum is one of the methodologies you can use to do this. Originally developed for IT, but now often applied elsewhere as well. Scrum works in short cycles – with fixed roles, recurring meetings and useful lists – and provide guidance for communication departments to start working agile. The agile principles on which this method is based are even more interesting. Self-organising, multi-disciplinary teams work closely together to deliver valuable results fast. Dare to experiment, preferably in real life. Start today. Learn to learn and improve continuously. Reflect not just once a year or at the completion of a project, but often and brief. How do you get ahead of the pack? Look beyond the borders of your profession! Communication is never an end in itself, but a means to achieve something else. Step outside the comfort zone of the communications department. Get involved in the business, organise a multi-disciplinary team and mould the project –including the communication- together. Help others communicating. Maybe their form isn’t perfect, the engagement and reach you can achieve are much bigger. Dare to give up control. Facilitate continuous communication, between those directly involved as well as with external stakeholders. Don’t hold off showing results until everything is ready, but make progress visible from day one. Choose channels that emphasize the complex and emergent character. Rather a newspaper or an online blog, than structured reports or long minutes. This is how communication becomes part of the process and not just a layer of paint at the end. Start today. Learn to learn and improve continuously. Reflect not just once a year or at the completion of a project, but often and brief. If you wait until the end to look back, you continually miss opportunities to adjust. By reflecting on results and processes regularly, you can adjust immediately. Only then will you get agile. Charles Darwin already said it: ‘It is not the strongest of the species that survives, nor the most intelligent that survives. It is the one that is most adaptable to change.’ Get agile! Be prepared for unexpected turns. Embrace the change, including the uncertainty that comes with it. Get used to it! 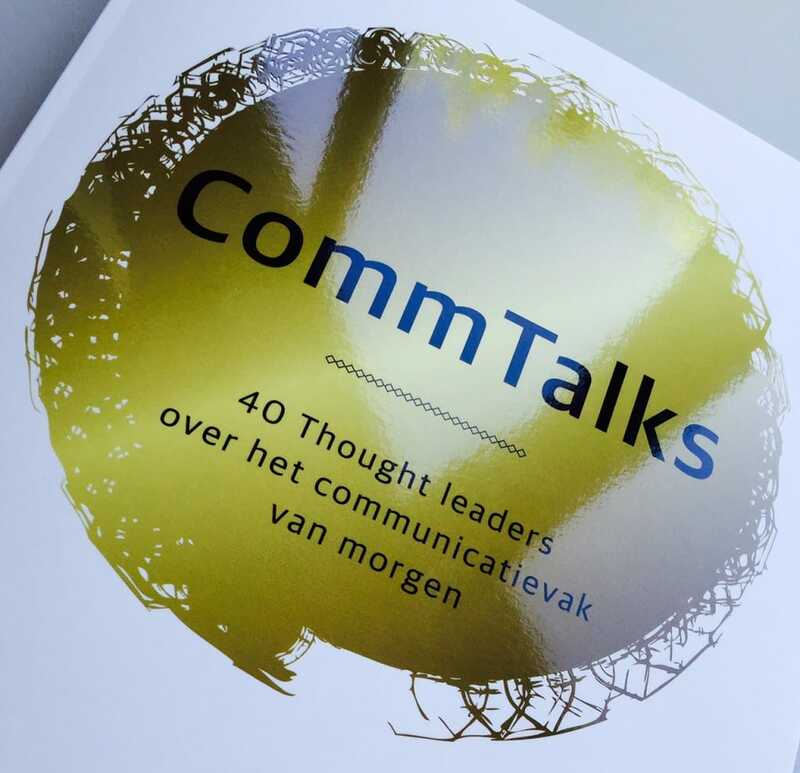 Petra de Boer is branding & dialogue partner at Perspectivity and co-author of the action-oriented book ‘Scrum in actie’ (Dutch only).